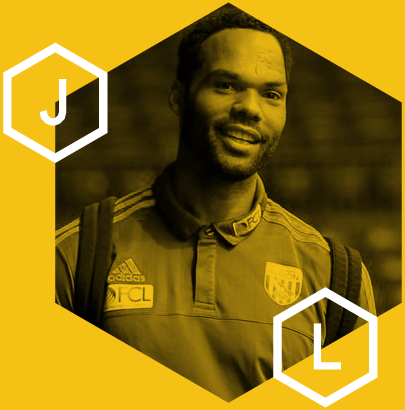 Joleon Lescott is a household name for football fans having spent a decade playing in the Premier League. Joleon started his career at Wolves, graduating through their academy to make over 200 appearances for the West Midlands club. At the end of his final season there in 2006, he was named in the Championship Team of the Year which earned him a move to the Premier League with Everton. After three years at Everton, he was sold to Manchester City for £22 million, and went on to make over 100 appearances for the club winning four trophies in the process. Since leaving Sunderland in the summer of 2017, Joleon has remained in the game but is focusing his talents on nurturing young talent at Manchester City. He is working with players on loan from the club, specifically at NAC Breda and Galatasaray. Joleon has appeared on several BBC productions, including their live FA Cup coverage of the Wigan versus Manchester City match. Away from football Joleon is a keen DJ and has a secret passion for cooking.